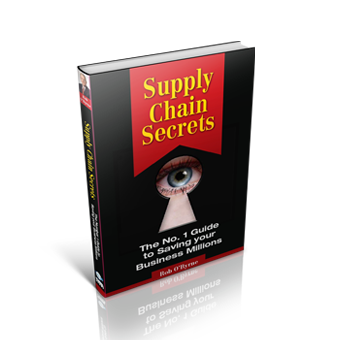 Our recent surveys have shockingly revealed that 61% of businesses do not have a documented Supply Chain strategy yet. Of those businesses, most believe their business performance suffers as a consequence. Without an effective strategy in place you won’t know whether your Supply Chain is underperforming and impacting on your business bottom line. Is your Supply Chain and Logistics Strategy effective? Does it support your business strategy? Is it well understood across your business? The right Supply Chain strategy or Logistics strategy will drive reduced costs, better customer service and improved profits. At the Logistics Bureau we have experience of effectively developing and implementing Supply Chain strategies across many countries and many industries including Retail, FMCG, Healthcare & Pharmaceutical, Industrial and many others. Our senior staff are able to work with you to develop the right Supply Chain strategies to achieve your business goals, as well as ensuring engagement and commitment from your management team. Contact a senior staff member at Logistics Bureau by calling them directly here. A clear Supply Chain strategy that supports the business strategy and goals. A Supply Chain strategy that is well understood and supported by all key business functions. A Supply Chain strategy that maintains a clear focus on the required outcomes and can easily be tracked and adjusted to maintain Supply Chain performance. And most important! A Supply Chain strategy that reduces costs and improves customer service. We will guarantee the results! The focus of this work involves aligning a company’s supply chain strategy to its business strategy. In situations of high growth, companies need a flexible supply chain to ensure that their growth plans can be absorbed at an incremental cost. In more certain demand situations companies should aim to ensure that their supply chain operates to optimum levels, with balance between service and cost. As part of our work, we often assist companies in developing and documenting a Supply Chain Strategy, Logistics Strategy or Distribution Strategy. This normally takes place as a series of facilitated planning workshops, with a senior cross functional team involved. At the completion of the workshops, the company has a documented Supply Chain Strategy, with objectives, actions plans, timelines and responsibilities. This planning approach has proved highly successful and is structured so as to enhance team participation and commitment. The focus of our planning approach, is to ensure that the Supply Chain strategy is clearly focused on the end game needs of the business, rather than the enabling ‘means’. This ensures , particularly in large and multi divisional businesses, that all parts of the business are focused on achieving the objectives, rather than sub optimising individual change projects.